Sense is a Responsive WordPress Blog Theme made for Authority blogs. So robust yet so simple and classic in design, Sense is all made for Professional Bloggers. Sense comes with few header styles, few post listing styles and 2 sliders. You can mix and match any of them, choosing where you want your Main Menu to appear, on top or below the logo.With a little mixing & matching, Sense can be used for all blog types, from personal to monetization based blogs and large magazine style, money earning machines! This entry was posted in Which Open Source Blog on September 30, 2015 by Administrator. Logancee is evaluated as my most unique multi-purpose ecommerce PSD template for shop online with clean and modern design. Logancee will be a subtle and smart choice for shop owner to sell their best products. There is no doubt that Logancee will make your work look more impressive and attractive to viewers. Remvie is a responsive magazine style Ghost themethat looks beautiful at any screen size. Atena is an HTML site template, suitable for College, University, Campus and schools. It’s responsive and comes with two navigation versions: Side Nav and Horizontal Nav (with Meggamenu). There are also 4 Premade Color Schemes and it’s quite fast to add yours. Main features include three portfolio layout options, two blog layouts, photo proofing, pricing page, “welcome page” with video background (optional feature). Bluebird has beautiful typography that makes it easy to read and feels clean and clutter free and more! As photography theme creators, we do our best to build themes that are easy to set up and look exactly like we display them in our demos. BlueBird won’t make your head spin while you try to figure out all the knobs and dials. You are a photographer and you should be doing what you love most – capturing memories in images, instead spending your precious time trying to figure out how to make your portfolio page show up and that is exactly why we made Bluebird! Cafaco is a Portfolio Sketch theme, suitable for almost any type of website, such as corporate websites, architecture offices, creative agency websites, startup companies, portfolio websites and etc. It has unique and elegant design, which will differentiate it from other websites. With great collection of elements to choose from and present your product, it is ideal theme for your brand new website! The download include 1 sketch file with 13 pages, super easy to customize! Check out the screenshots to see them all! It owns a stunning beauty, fashionable clean look and proper execution, accompanying with making use of Plazart Framework, TZ Portfolio, Hikashop, AcyMailing, JVisual Content, TZ Multi-purpose, JComments, TZ Twitter Widget, JSN EasySlider and Unite Revolution Slider, it will help you to create an awesome website. Responsive Design: Semona is a Responsive Joomla Template. 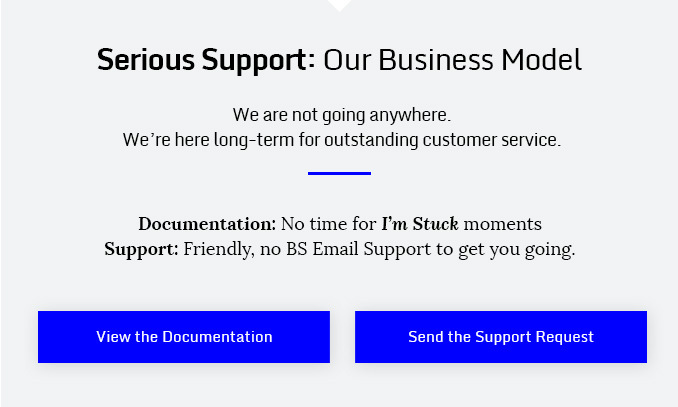 It supports Bootstrap, your template will adapt automatically to the screen size of the device and display all the content in an intuitive and simple way. 3 Home Pages: There are many 3 Home Page Versions including Home, Home V3 and One Page. In addition, you can have Box and Dark Styles as you want. It can really make your site becoming more impressive and unique. 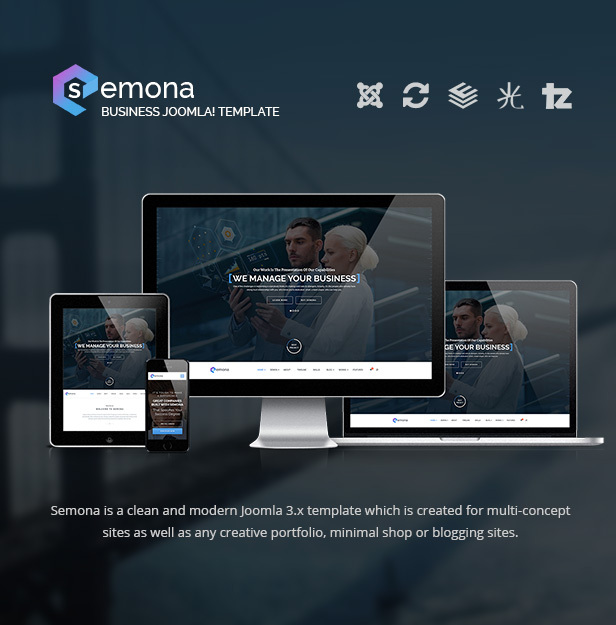 TZ Portfolio: Semona supports TZ Portfolio – Portfolio Joomla Extension. There are about 8 Blog and more than 15 Portfolio versions with grid style, masonry style, multicolumn style and side bar style including many single article versions. Bone is a Modern, Clean, Responsive WordPress Premium Theme built for online publications that deliver curated news and stories about Technology, Business, Art, Culture, etc. It can also be used as a corporate blog for everyone to share their voices, stories and ideas.